Between 1830 and 1834, Constantius I was the Ecumenical Patriarch. He seems to have been irritated at the haphazard manner in which information about the various Byzantine churches in Istanbul had filtered down the ages to him. He embarked on a campaign (similar to the one being waged at enormousfish.co.uk) to identify these recalcitrant churches in a definitive and Orthodox manner. He examined records from the time of the 1204 Latin invasion of Constantinople. Emperor Alexios V Doukas Mourtzouphlos apparently set up camp by the Pantepoptes Monastery and watched the movements of the Venetian fleet in the Golden Horn near the Church of St Mary of Blachernae. 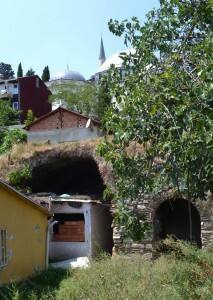 Constantius used contemporary accounts to place the Monastery of Christos Pantepoptes on the site of the Eski Imaret Camii in the Zeyrek area. Pantepoptes means ‘the all-seeing’, an appropriate name for a place from which one could observe goings-on in almost all of the Golden Horn. The great Alexander van Millingen accepted this identification and told a rather lovely version of the 1204 story in his 1912 tome about the Byzantine churches in Istanbul. Since then, the identification of the lovely little red church in Zeyrek has been set in stone. Cyril Mango, the eminent English scholar of all things Byzantine was having none of this. He produced a rather elegant dismissal of all arguments that placed Pantepoptes at the current Eski Imaret Camii (or Medrese). Not the least of his points was that the upper part of the Golden Horn where St Mary of Blachernae is situated is not visible from Eski Imaret Camii. Mango places the Monastery of Christos Pantepoptes on the site of Yavuz Sultan Selim Camii, the terrace of which has a stunning view of the Golden Horn. This was begun in 1520 and the determination of the great Sultan Süleyman to provide a fitting monument for his warlike father presumably swept a lot of existing buildings away. 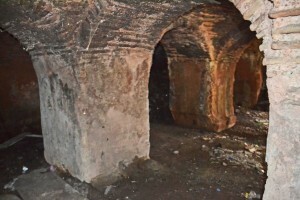 There is a lot of Byzantine stuff around the Selim Camii, not least of which is the enormous Cistern of Aspar, the construction of which began in 459 in the reign of Marcian. 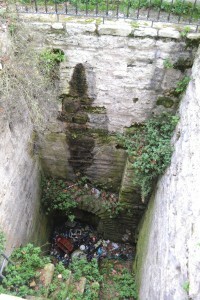 The open cistern is now a sunken garden. Marcian’s name lives on in the imposing column of that name, which is down the hill a little. 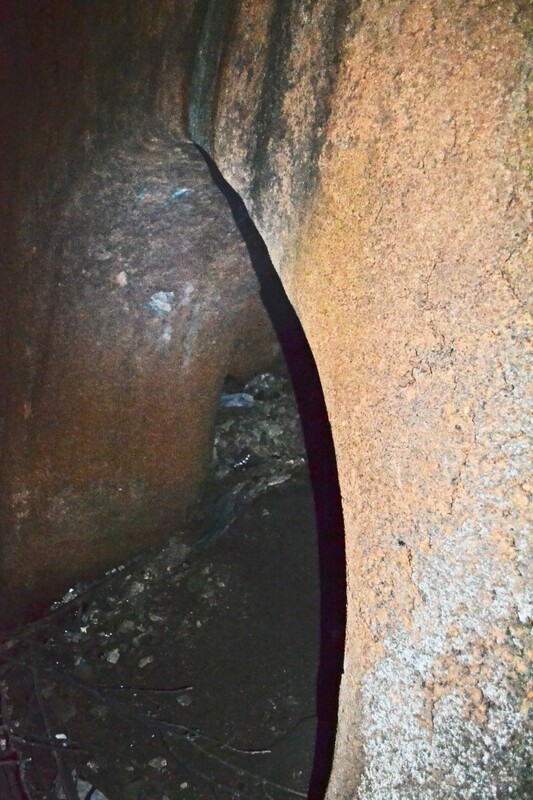 There is also a ridiculously pretty closed cistern close to the south side of the Cistern of Aspar. 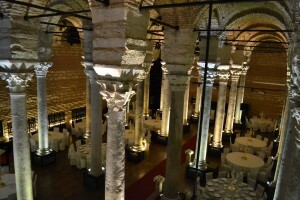 This is now a Duğun Sarayı (venue for wedding receptions) although when I chanced upon it in 1991, it was a banana warehouse. Byzantine sources suggest that there were many monasteries in this area but omnivorous building work has swallowed these. 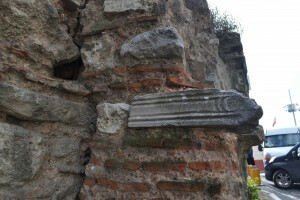 There must be something interesting beneath the Yavuz Sultan Selim Camii but while that stands, we must be content with the fragments in its vicinity which, if Mango is right, are probably remnants of the Monastery of Christos Pantepoptes. 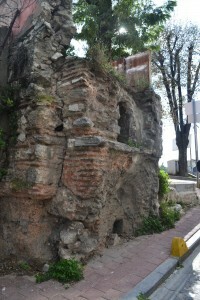 Byzantine stonework near the northern entrance to Yavuz Sultan Selim Camii. 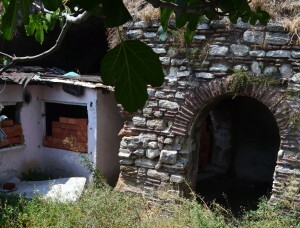 Possibly a Byzantine ayazma in the outer courtyard of Yavuz Sultan Selim Camii. 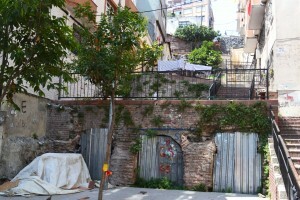 On the south slope beneath the mosque, there are some distinctly Byzantine remains. 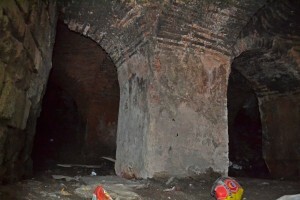 Dr. Ferudun Özgümüş, that champion of subterranean Constantinople, has amassed a reasonable amount of evidence that this is the Palace of Bonos (or Bonus). Mango disagrees and places the palace closer to Fatih Camii. In any case, it seems likely that the site contained both a palace and at least a church. 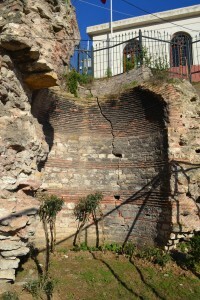 The cascade of Byzantine stone and brickwork from the retaining wall immediately below Yavuz Sultan Selim Camii down to Haliç Caddesi hints at amazing things to be found. I share the incredulity of Dr. Özgümüş when he compares the glaringly obvious archaeological richness of the area with the paucity of study that has been done there. 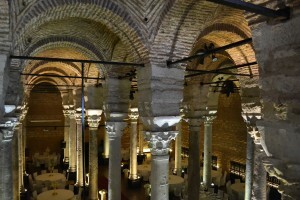 Behind the Fatih Belediyesi iron, there is a solid vault composed of brick domes supported by hefty, square-sectioned columns.